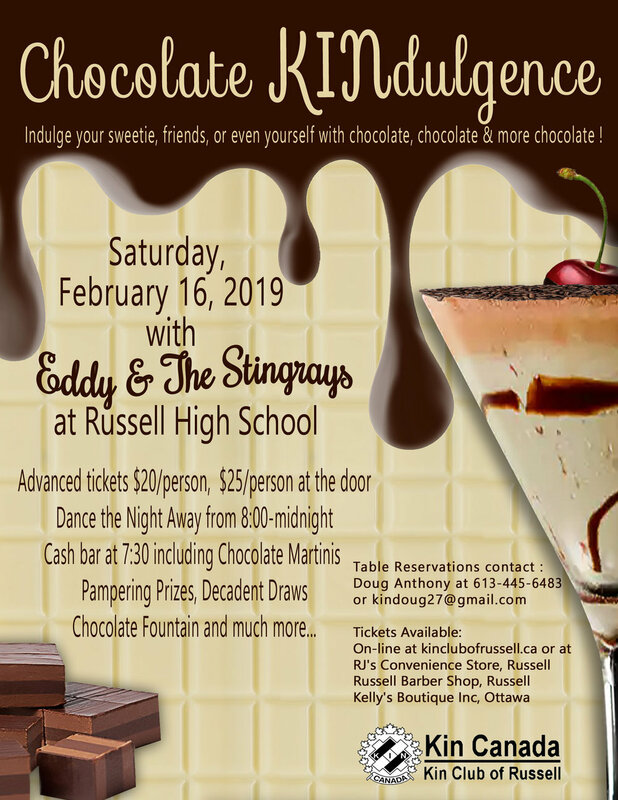 The Kin Club of Russell finished its last meeting of the year with a bang…another four new members bringing the club to a whopping 48 members. The Kin Club grew from 27 members in October, adding another 21 new members to its ranks to finish off strong for the year as the club prepares for a busy fall. 4. The Kin Club is also starting its work on the Welcome to Russell signs for the east and west entrances into Russell. Photo: New members are inducted into the Kin Club of Russell with their badges, shirts and new member kits; From left to right – Elizabeth Ferguson, Isabelle St-Amour, Cassandra Guertin-Thibodeau, Shirley McInnis, Diane Hayes, Diane Lacroix, Dave Picard, Kim Picard, Diane Perron, Rick McCabe, Maghan Gagnon and Trevor Findlay. 19th Annual Poutmasters Fishing Derby a Huge Success! 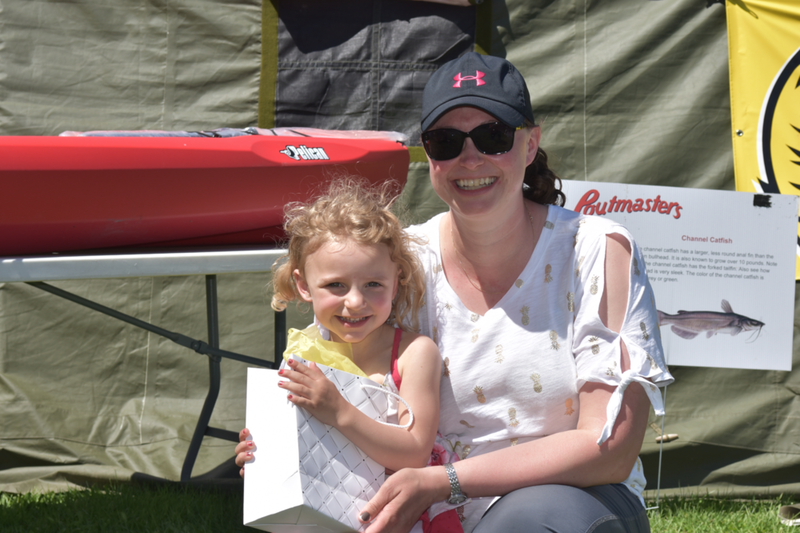 The Kin Club of Russell’s 19th annual Poutmasters Fishing Derby, held May 11th - 13th was a huge success said Kin Club of Russell’s Poutmaster chair Doug Anthony. “We had perfect weather all weekend, the fish were biting and the prizes and sponsorships were amazing this year”, said Anthony. This year’s Poutmasters were sponsored by Canadian Facility Security, Russell Township, South Nation Conservation, Embrun Giant Tiger, Hot Potato, Russell Lions Club, Laplante Dodge and Embrun Ford amongst others. Stella’s Touch in Russell donated the $500 day at the Spa for Mother’s Day, won by Brooke Laplante. The Canoe and Kayak from Barry’s Home Hardware were won by Mason Savage (kayak) and Marc Gauthier (canoe). Gift bags and 200 carnations (for Mother’s Day) were donated by Diane Hayes of Kelly’s Boutique. Brooke Laplante poses with her mother after winning the $500 Stella's Touch Day at the Spa (On Mother's Day) at the 2018 Poutmasters fishing Derby.